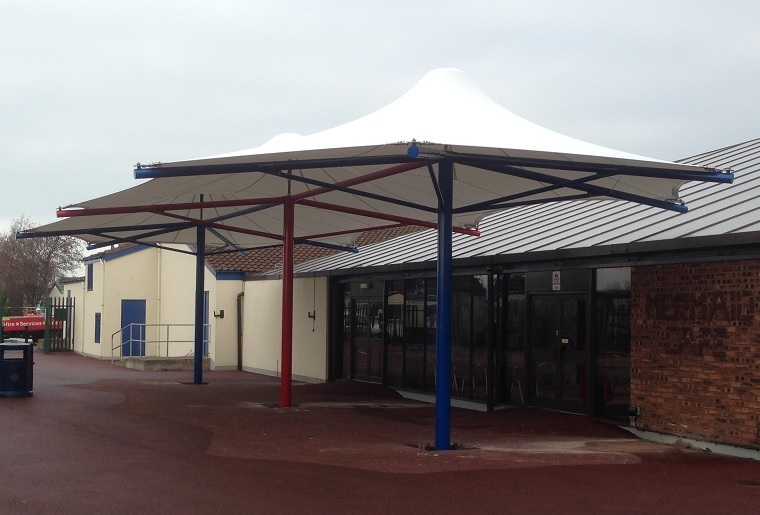 Our Tension Structures division recently completed this 18m x 8m triple conic entrance canopy for the Mermaids Café at the Marine Holiday Park in Rhyl, North Wales. Part of our service included undertaking all the necessary submissions regarding planning applications and building regulations on behalf of the client, and liaising directly with the local council to ensure the process ran smoothly. 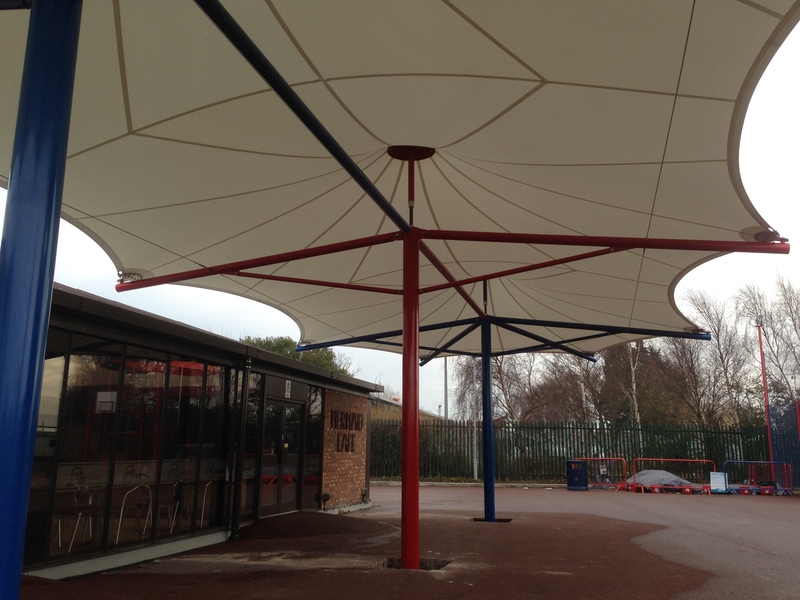 This free-standing canopy is part of our cost-effective standard range of pre-designed products, but for this project we re-engineered the columns to raise the canopy by 800mm so that it overlapped the edge of the existing café roof to provide complete rain shelter at the entrance. 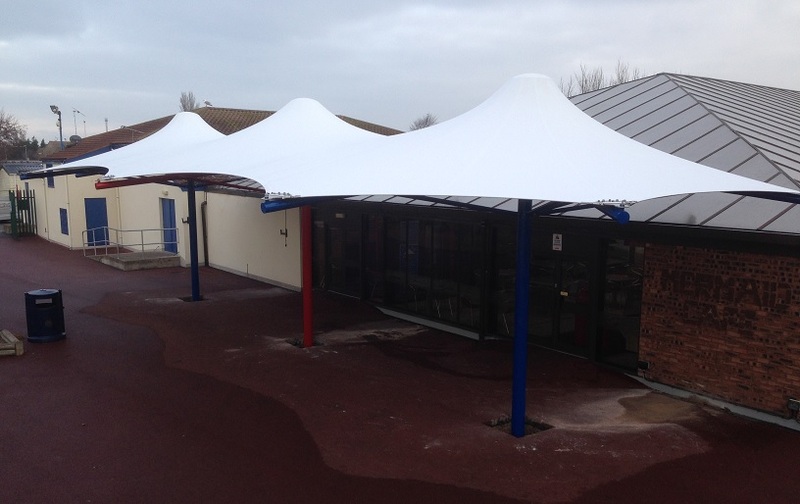 The installation was completed in just over three days during the off-season to minimise disruption to park visitors.